The Savegre River crosses the Quetzal National Park in the mountains to the south of Costa Rica. It is an area surrounded by oak forest, cold weather and spectacular scenery. El Río Savegre atraviesa el parque nacional los quetzales en las montañas hacia el sur de Costa Rica. Es una zona rodeada de bosque de roble, de clima frío y espectaculares paisajes. great climatic place and photo. I love the isolation of the overhanging trees against the foggy background. 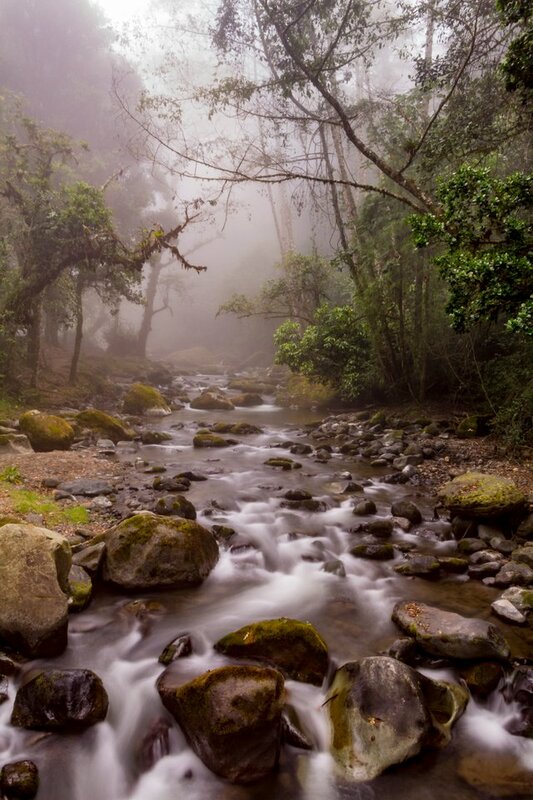 The long exposure of the running water leads the eye into the mist. Very nice. Thank you for the comment, I'm glad you liked it.